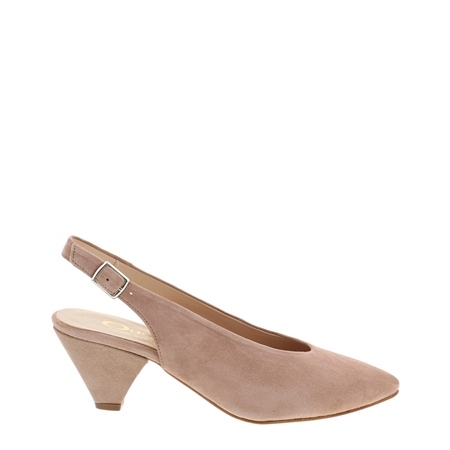 Elegance doesnt require high heels with our Dolce suede slingback court shoes. Crafted in the softest of premium suede leather, these stunning shoes feature an adjustable ankle strap and the cutest of suede-covered kitten heels. Calf leather lining adds to the luxurious feel of these beautiful shoes. Perfect for giving evening outfits a touch of glamour without sacrificing comfort. Also available in Red Suede & Black Suede.